NOW BOOKING SIGNATURE NEWBORNS FOR SPRING & FALL 2019! LIMITED SPACES AVAILABLE FOR MARCH, APRIL & EARLY MAY DUE DATES. 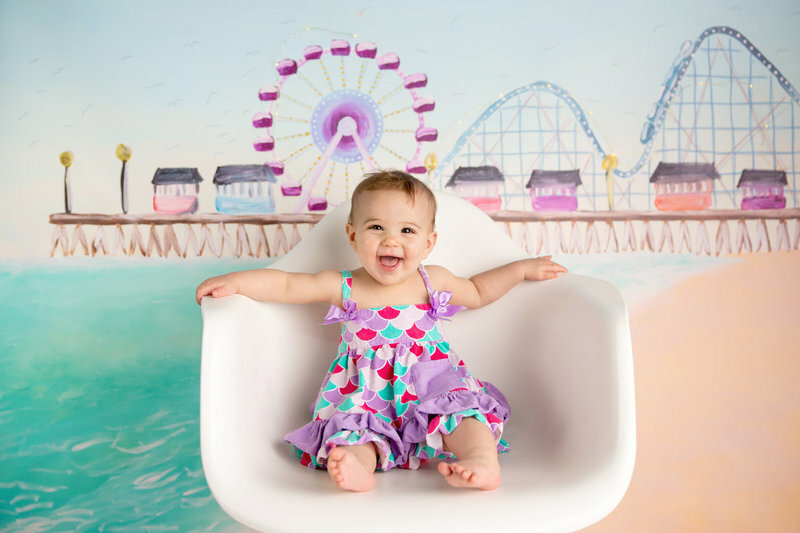 The signature baby portrait program is exclusively for newborns and babies up to one year old. It was designed to highlight and celebrate all of the amazing changes and milestones that happen in baby's first year. As a mother myself I know how important these first images are and during our time together I promise to handle and care for your sweet baby as if it were my own. I have many years of training and experience in handling, posing and settling newborns. Your comfort and baby’s safety are my first priority. After photographing over 200 newborns in my career I like to think that I have officially earned the title of Baby Whisperer! Sessions take place in my boutique portrait studio located at The Market Common in Myrtle Beach. 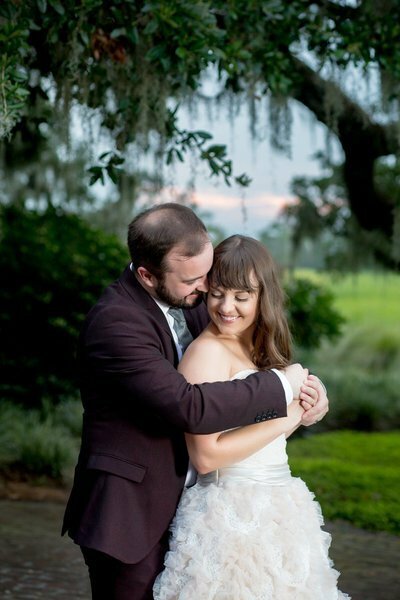 I am fully stocked with a variety of backdrops, props and decor. I can't wait to create something amazing with you! Because they're only this little for a little while. Whimsical. Colorful. Unique. Because they're only this little for a little while. Introducing... Henry Curtis! 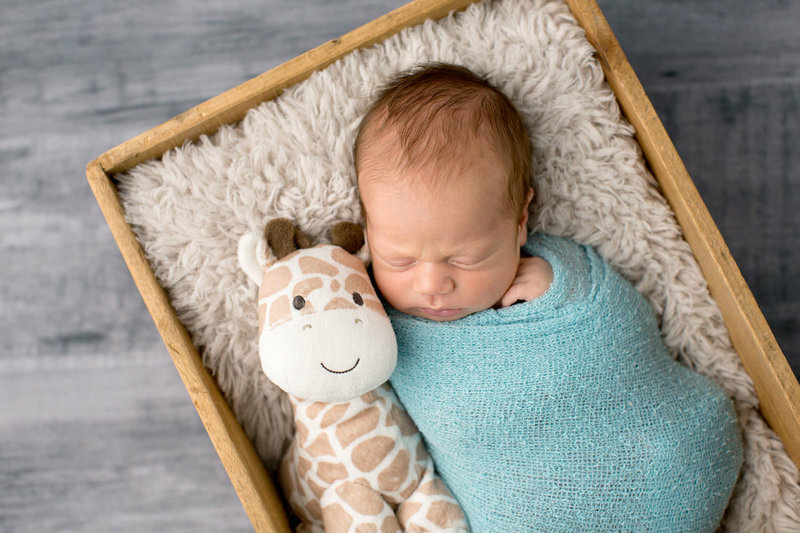 This sweet little boy was just 8 days new when he came to see me and he slept so good that we finished his entire portrait session in less than 2 hours. We styled his sets in aqua & grey with pops of gold to match his nursery. 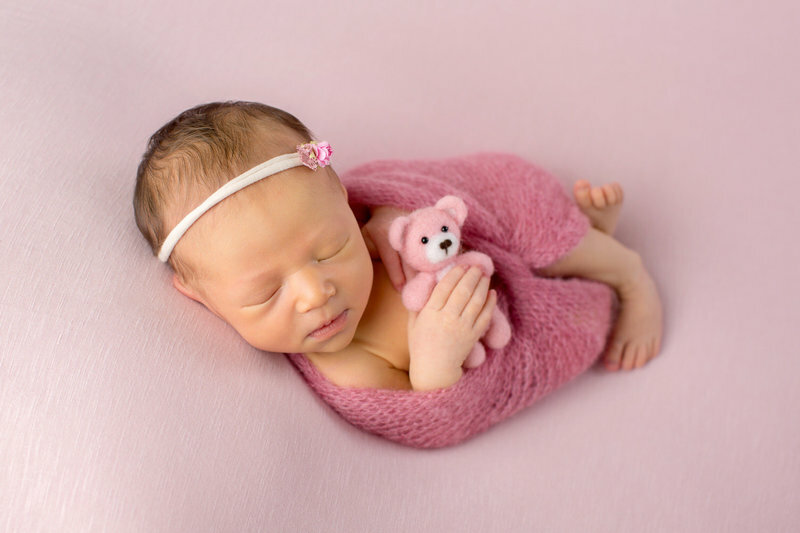 When will my newborn session take place? 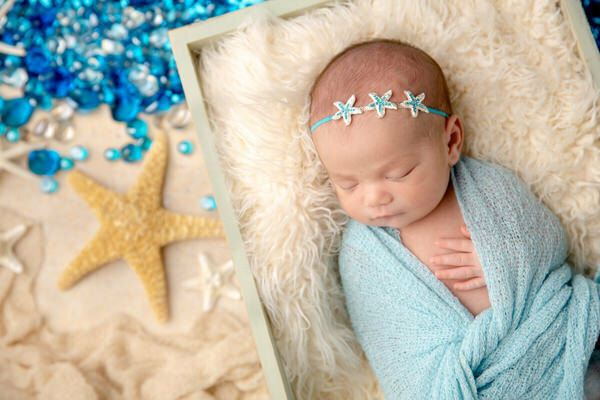 The ideal window for newborn portraits is within the first 2 weeks of life. At this age, baby sleeps deeply and can still curl up into those sweet newborn poses. 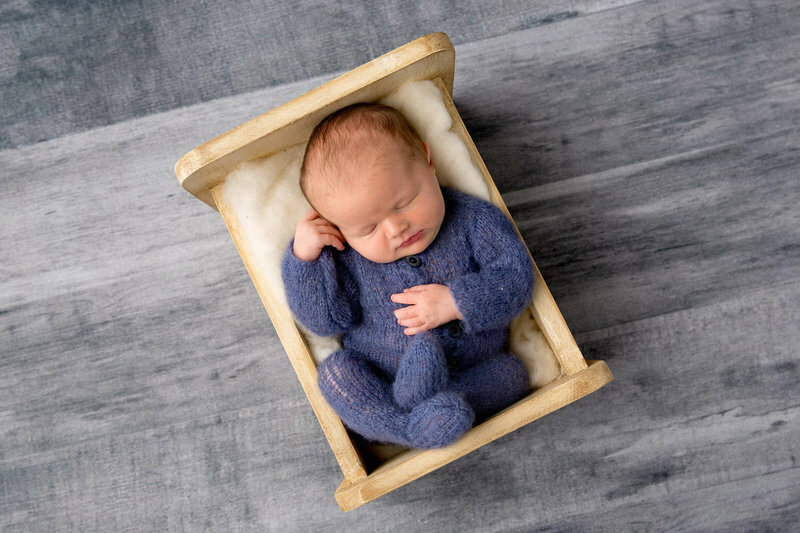 Because of the limited window of time we have for a newborn session it is important that you book with me while you are still pregnant so that I can guarantee my availability when baby arrives. If your baby has already been born by the time you've found me... don't fret! 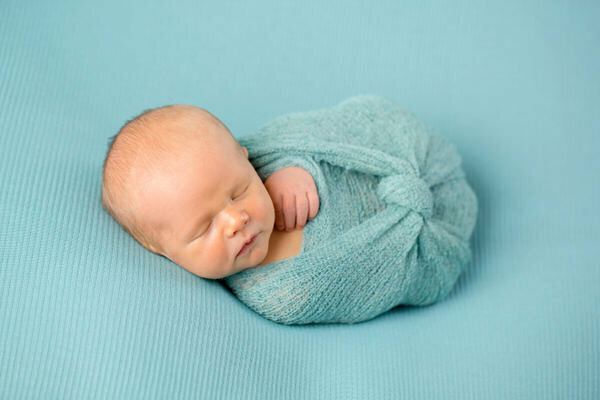 I do take newborns up to 4 weeks of age (I recommend swaddled sessions after 3 weeks) and I try to accommodate last minute bookings as much as I can. Do you offer maternity portraits? Absolutely! Maternity mini sessions are done on location just before sunset and can be added on to any newborn collection. Click here to see the maternity gallery! Can we do a sibling or family photo during our session? Absolutely! Your sibling or family pose is done first, and then we focus on baby for the rest of the session. Family poses are closeup, typically on a classic black background. Do you provide the props and backdrops? Yes! 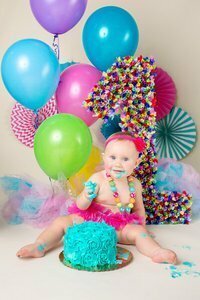 I have a large selection or props & backdrops, as well as hats, headbands, tutus and lace rompers. (I'm a bit of a prop hoarder.) You are also welcome to bring in something special from home that you'd like to incorporate into your session. We'll work together before the session to plan your themes and colors. I always post sneak peeks on social media same day and all galleries are delivered in one week. That's right... your fully edited gallery will be ready to you to view, share and download in just one week!! 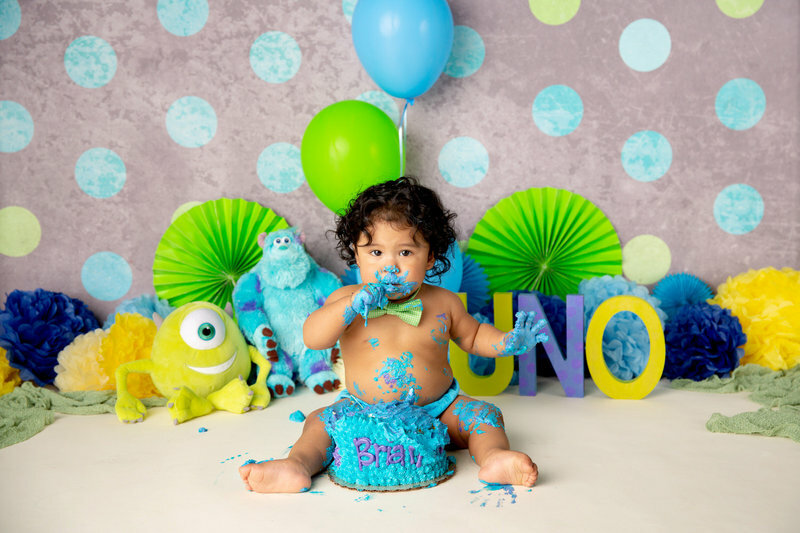 What are the best ages for photos during baby's first year? 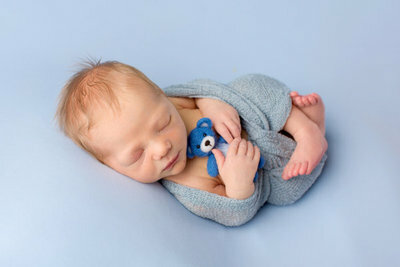 Newborn sessions are done in the first 2 weeks of life. The next great time for a portrait session is around 3 months. 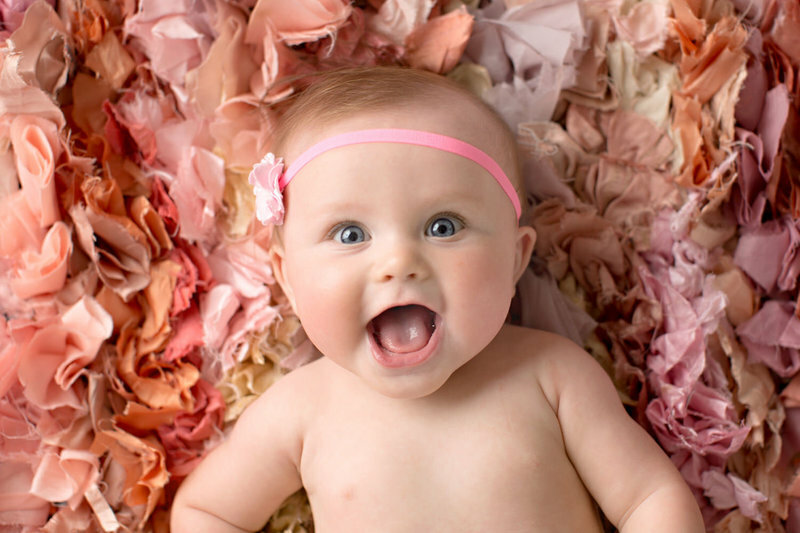 By this age baby is usually very expressive and can hold up their head during tummy time. Around 6 months baby will be sitting up unassisted, which is my favorite milestone to capture! We may even see those first few bottom teeth popping through. The next big one is baby's first birthday... full of crawling, giggling and sometimes even running! How many outfits do you recommend for a milestone session? I suggest 3-4 outfits max for milestone sessions. 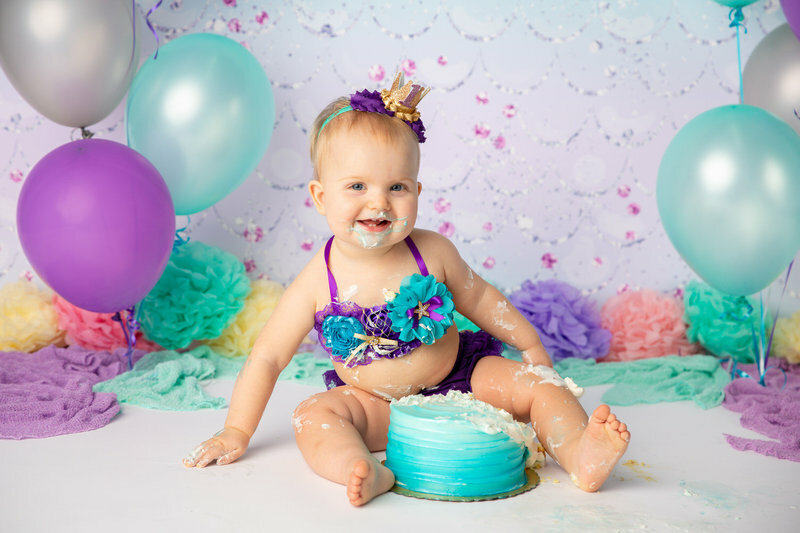 If you're doing a cake smash at your 12 month session then I recommend 2 regular outfits and a cake smash outfit. Scroll down to the contact form and send me a message! All I need to secure your session date (or window of time around your due date) is a contract and retainer. I can't wait to see what we'll create together! Our all-inclusive collections include a full studio portrait session, the digital files and a print release! Other packages are available, as well as an add-on for maternity portraits and 2 fantastic Baby Plan options to give you custom portraits all year long. 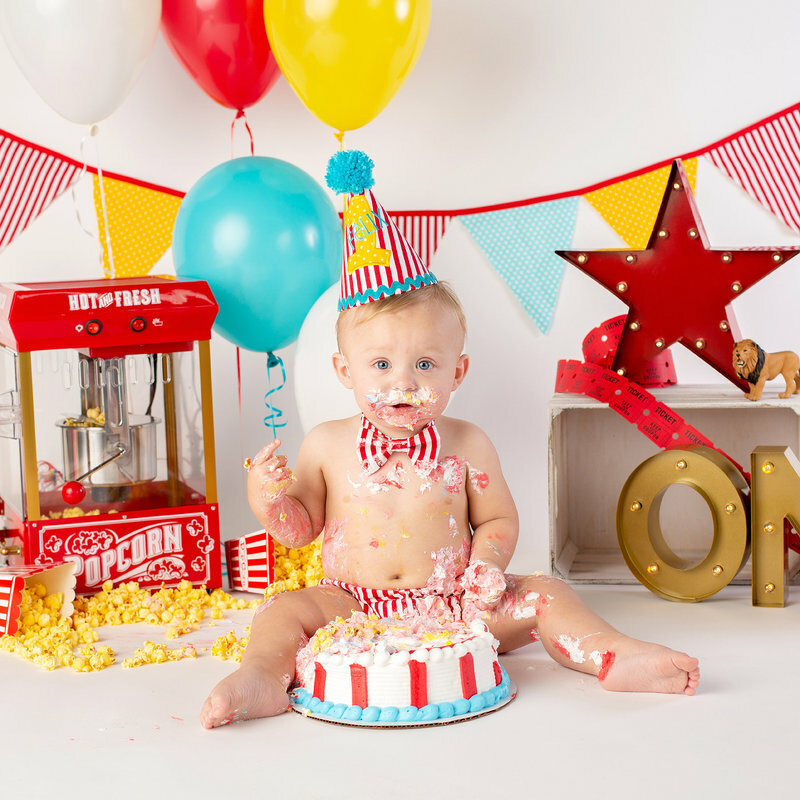 I'm excited to start planning a custom studio portrait session for your little one! Fill out the contact form below to start the conversation and receive my full signature baby pricing guide. *Please note that all fields in the form are required and you will not be able to submit your inquiry until they've all been filled out. 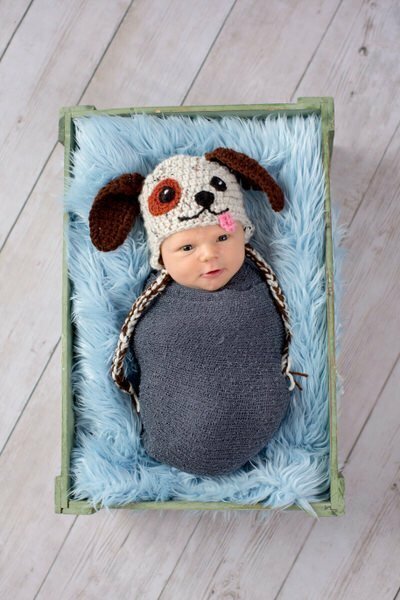 *IMPORTANT NOTE: I am expecting a little one of my own in early July so I will not be accepting newborn sessions from June through mid-August. I do my best to answer emails quickly, but only during business hours. In the meantime, please add crystal@crystalleephotography.com to your address book or contacts so that my email lands in your inbox instead of spam. If you haven't received a response from me in 2-3 business days please check your spam box or email me directly.